The µTAS 2017 Conference will feature the 10th Art in Science competition entitled ‘Under the Looking Glass: Art from the World of Small Science‘, sponsored and supported by National Institute of Standards and Technology, Lab on a Chip, MicroTAS and the Chemical and Biological Microsystems Society. Since the earliest publications of the scientific world, the aesthetic value of scientific illustrations and images has been critical to many researchers. The illustrations and diagrams of earlier scientists such as Galileo and Da Vinci have become iconic symbols of science and the scientific thought process. In current scientific literature, many scientists consider the selection of a publication as a “cover article” in a prestigious journal to be very complimentary. 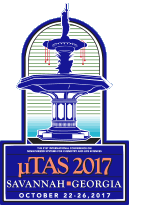 Are you attending the µTAS 2017 Conference? Would you like your image to be featured on the cover of Lab on a Chip? Would you like to win a financial reward? To draw attention to the aesthetic value in scientific illustration while still conveying scientific merit, NIST, LOC and CBMSare sponsoring this annual competition. Applications are encouraged from authors in attendance of the µTAS Conference and the winner will be selected by a panel of judges. Applications must show a photograph, micrograph or other accurate representation of a system that would be of interest to the µTAS community and be represented in the final manuscript or presentation given at the Conference. They must also contain a brief caption that describes the illustration’s content and its scientific merit. The winner will be selected on the basis of aesthetic eye appeal, artistic allure and scientific merit. In addition to having the image featured on the cover of Lab on a Chip, the winner will also receive a financial prize at the Conference. You can also take a look at the winners from last year on our blog. 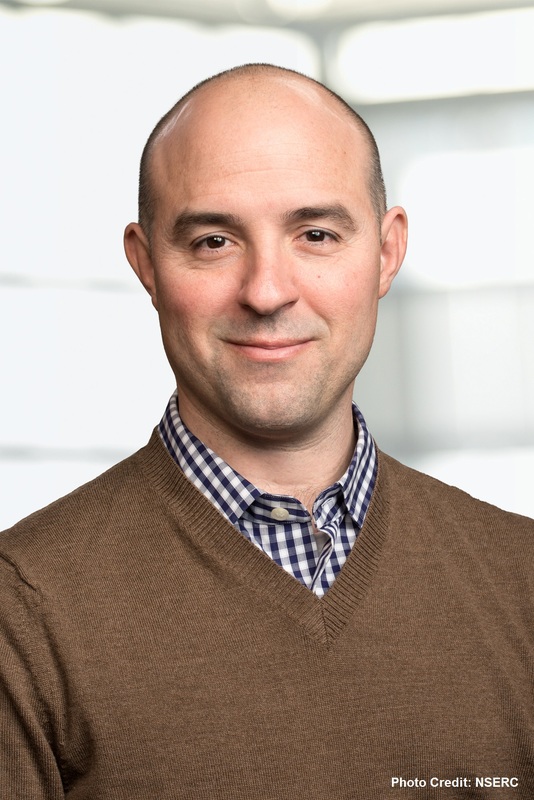 We are delighted to announce that Aaron Wheeler is 2017 winner of the “Pioneers of Miniaturization” Lectureship! The 12th “Pioneers of Miniaturization” Lectureship, sponsored by Dolomite and Lab on a Chip , is for early to mid-career scientists who have made extraordinary or outstanding contributions to the understanding or development of miniaturised systems. This “Pioneers of Miniaturization” Lectureship will be presented to Aaron at the µTAS 2017 Conference in Georgia, USA on 22-26 October 2017. Aaron will receive a certificate, a monetary award and will give a short lecture during the conference. 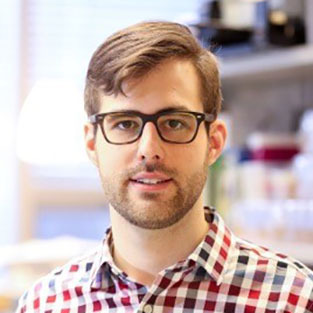 Many congratulations to Professor Aaron Wheeler on this achievement from the Lab on a Chip! Aaron Wheeler earned his PhD in Chemistry at Stanford University in 2003. After a postdoctoral fellowship at UCLA, he joined the faculty at the University of Toronto in 2005, with primary appointment in the Department of Chemistry and cross-appointments in the Institute for Biomaterials and Biomedical Engineering and the Donnelly Centre for Cellular and Biomolecular Research. Professor Wheeler has been recognized with a number of honours including the E.W.R. Steacie Memorial Fellowship from the Canadian National Sciences and Engineering Research Council, the Arthur F. Findeis Award from the American Chemical Society, and the Joseph Black Award from the Royal Society of Chemistry. He has authored more than 100 peer-reviewed publications and has served as Associate Editor of Lab on a Chip since 2013. Wheeler’s research group develops microfluidic tools to solve problems in chemistry, biology, and medicine. A key technology used by the group is digital microfluidics (DMF), a technique in which fluidic droplets are manipulated on the surface of an array of electrodes coated with a hydrophobic insulator. In recent years DMF has matured into a highly enabling liquid-handling technology which has a strong foothold in several fields ranging from chemical synthesis to clinical sample analysis to tissue engineering. Learn about the Wheeler group online http://microfluidics.utoronto.ca/ or on twitter at @Wheeler_Lab. With global freshwater supplies in decline, it is becoming more and more important to develop new technologies for water treatment. Given that much of the world is covered in saltwater, desalination is becoming an attractive option for generating fresh drinking water. However, the energy and capital costs of desalination can be prohibitive. Portable and scalable systems for water treatment and desalination would be useful in delivering freshwater to those who need it. Further, portable desalination systems would be particularly useful during humanitarian crises that arise due to intense weather events (e.g., hurricanes, tsunamis) in coastal regions. Researchers from the Massachusetts Institute of Technology have recently developed a proof-of-concept microfluidic device for water treatment and desalination using electrochemical methods. The device uses two electrochemical techniques for water purification; electrocoagulation to remove particulate matter (including microorganisms) and ion concentration polarization to desalinate the water. In electrocoagulation, a sacrificial anode is oxidized to release metal coagulants that bind up and flocculate material in the water. Ion concentration polarization utilizes an electric field across an ion exchange membrane to generate an ion-rich and an ion-poor region, which can then be separated. The microfluidic device designed by Choi et al. uses one common pair of electrodes across several microchannels to achieve both electrocoagulation and ion concentration polarization. This has the advantage of minimizing power consumption as no extra power is needed to couple the two treatment methods. In their report, they demonstrated that the new hybrid device could remove nearly 90% of E. coli cells and approximately 95% of particulate matter as well as bring salt concentrations down from 20 mM NaCl to 8.6 mM NaCl (a drinkable level). The work presented in this report lays the foundation for a truly universal and portable water treatment system. Someday you will be able to take water from any source—waste, seawater, or freshwater—and turn it into fresh clean drinking water. This will not only help those who do not have regular access to freshwater, but will be a great tool to have on hand in emergency situations. *Free to access until 7th July 2017. You are currently browsing the Lab on a Chip Blog blog archives for June, 2017.